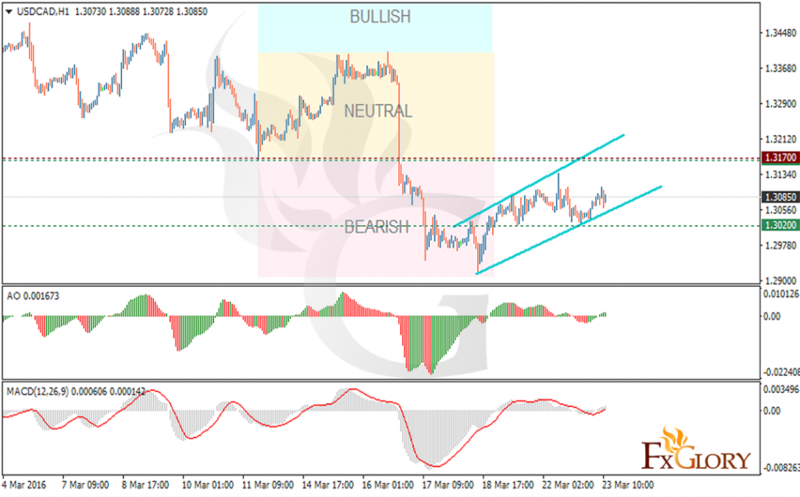 USDCAD had a slight increase on Monday but it fell again. Now this pair’s action depends on oil. If oil declines it will give power to the market to grow. The price is fluctuating within a tight channel in the bearish zone leading upward. The price must break the resistance at 1.31700 to confirm the low as the bottom price and enter the neutral zone. Now the support lies at 1.3020 and resistance at 1.31700 but if the price rallies upward, the support and resistance zone will change to higher ranges. Due to the MACD indicator, the price is in positive territory signaling buy positions since the price is correcting.